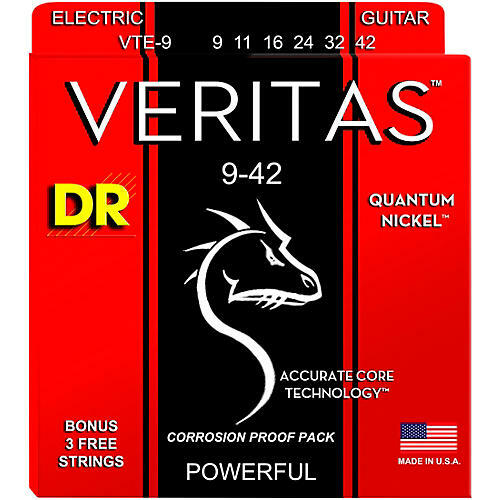 VERITAS is a completely new category of electric guitar strings! Designed to combine more power with longer life, players say VERITAS strings with Accurate Core Technology and Quantum Nickel last longer and have more power than ordinary nickel-plated strings. Added Bonus: Three extra new XENON power-plain™ strings.